All 2017 bookings require deposit of £50 to secure your booking, BALANCE TO BE PAID 6 WEEKS PRIOR TO ARRIVAL! We only allow 1 x Small Dog per stay. Please do not allow pets in the bedrooms or on the furniture. You will all be provided with a silver pass to get you into the Parks facilities; this provides free nightly entertainment in the licensed clubroom, and free entry into The Waterside Sports Bar. Leisure Centre passes can be purchased from reception for a small charge, approx £2.90 (Child) / £3.60 (Adult) per day, or £15 / £20 per week. All 2018/19 bookings require deposit of £50 to secure your booking, BALANCE TO BE PAID 6 WEEKS PRIOR TO ARRIVAL! Please take care when staying in our property. You are responsible and liable for any breakages or damages, which you cause, to the accommodation or its contents. All we ask is that you report any incidents as they occur. We do not normally charge for minor breakages, but we may send you an invoice for repair or making good if the damage or breakage is significant, and we may make an additional charge of £25 if you did not report this. Your accommodation will be available to you from 16:00PM on the day otherwise arranged. We may not be able to accommodate you if you arrive earlier than the agreed time as we will be busy preparing your rooms. On the day of departure, please be ready to leave the accommodation by 10AM. Additional Info: Waterside is a family park and the many amenities include: indoor/outdoor heated pools, gym, sauna, steam room, spa, restaurant, take away, site shop, and launderette. Waves Sports bar and children's state of the art activity area plus the Waterside Venue family entertainment centre both day and night. All areas of the site are ramped for wheelchair access and there is a lift to Waves bar. A bus leaves the park every 20 minutes and goes into Weymouth. The park boasts a fabulous leisure complex and onsite evening entertainment. Lovely & clean caravan. Good size rooms. Had a really good stay, local walks are great for the dog. The snow made it even more exciting. Hannah was very helpful and accommodating. Will definitely be back. Fabulous long weekend away! Beautiful location both within Weymouth and on site. Brilliant amenities for my husband I and for children too. The site is clean and beautifully laid out with easy directions to all caravans. Caravan is like a home from home with everything you need. Hannah the owner is most accommodating. Will most definitely book here again! Booked a week before as Hannah very prompt on replying to a request.Easy to book and pay via bank transfer with a professional yet friendly approach. Great caravan and site helped by fantastic weather.Would definitely book again with Hannah. Amazing long weekend at Waterside holiday park, Orange 80. 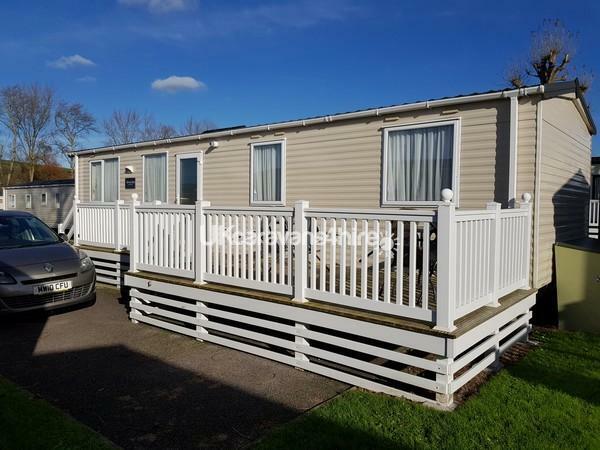 Caravan, holiday park and location were lovely. We will defiantly be returning to stay in this caravan in the future! Hannah the owner was very helpful which made the stay even more enjoyable. Would recommend to anyone who wants a carefree trip away in a lovely place. We stayed in Orange 80, two adults and two kids. 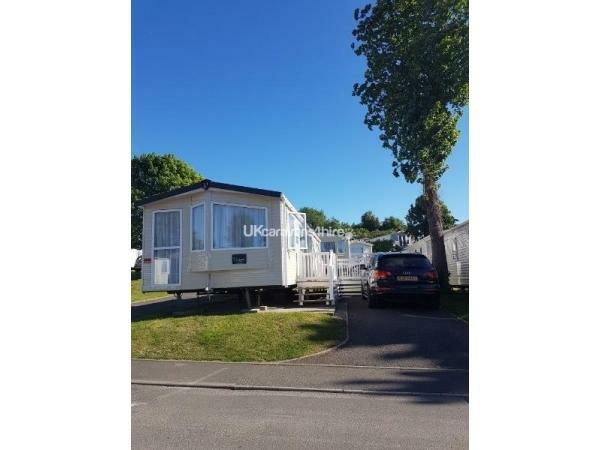 Caravan is fantastic and very new condition, cutlery, crockery etc all new as were appliances with the benefit of a full sized fridge freezer. (Very helpful with our two). Beds were all made on arrival which is great, lounge is spacious and the outside decking catches the afternoon sun perfectly. It's in a great location and I would highly recommend booking as it's in such great condition, oh, and the icing on the cake, there was a nice bottle of wine chilling in the fridge for our arrival. Will definitely be rebooking!